Got a big event coming up, say, a food fair? Or perhaps you’re looking to open up a new restaurant? Have trouble finding the right key element to bring all of it together? 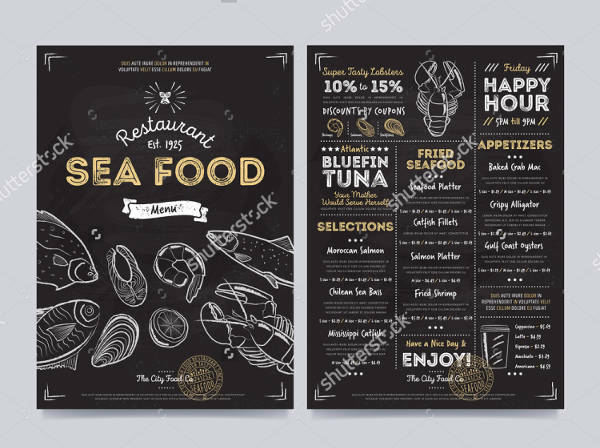 Well, with these downloadable creative chalkboard menu designs, you’re sure to have the guests and onlookers opening their mouths wide and saying, “Aaaaaahhh!” They come in a PSD and/or vector EPS format to ensure quality and customizability. And they’re up for grabs! Never again will you have to hear some uppity, highbrow middle-aged woman talk smack about your Menu Designs not matching the rest of the decor! 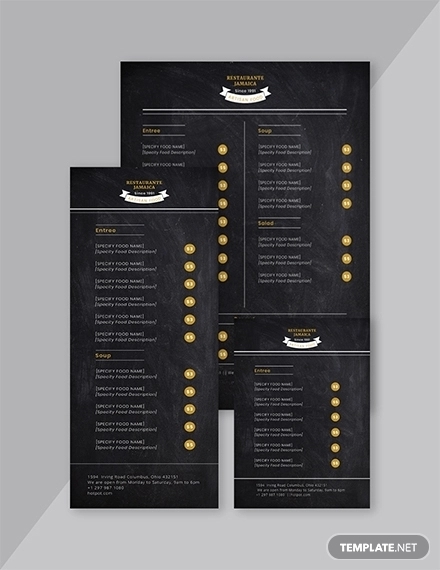 Blank Chalkboard Menu Design. For those who like still a bit of a personal touch, this will be the perfect design for you! Grab a few choice colored chalk, and start scribbling your specials for the day. Chalkboard Coffee Menu Design. Whoever hatched the idea of matching the quaintness of a chalkboard and the beauty of coffee must be a genius! Go ahead and download the vector EPS file so that you can begin putting in the list of your blends and brews. 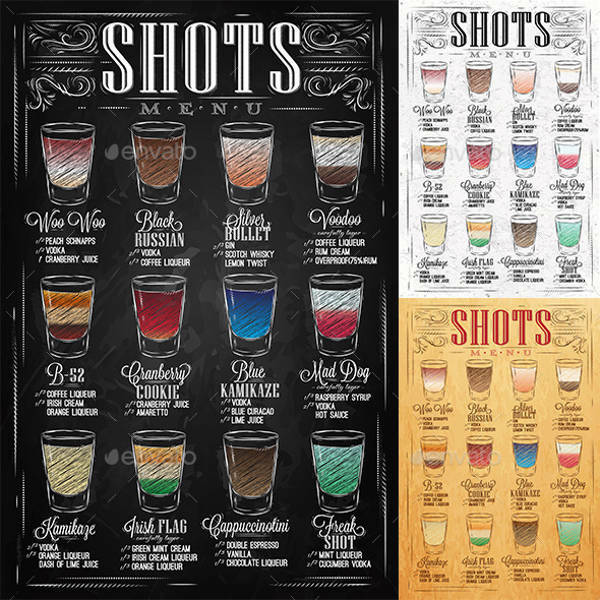 Chalkboard Shots Menu Design. What’s a brilliant way to liven up your chalkboard menu? Colored chalk. And what’s a great use for colored chalk? Illustrations of your happy hour offerings, of course! Chalkboard Bakery Menu Design. Even if your customers are more of the pastry-loving sort, guess what? It makes no difference. 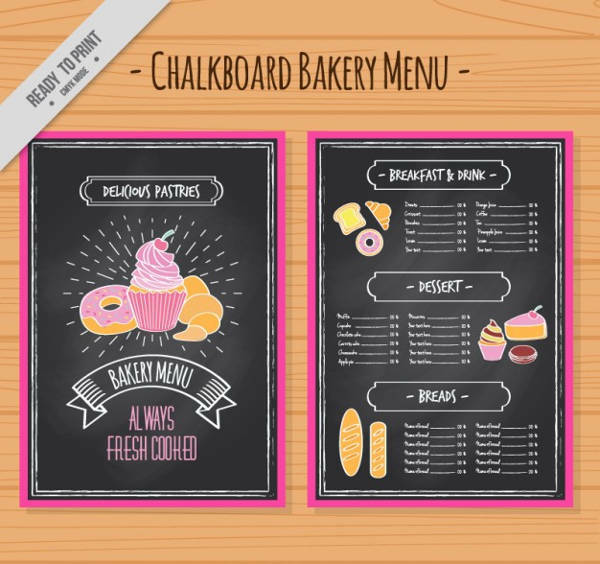 This chalkboard bakery menu design will make your patrons go just as gaga over the illustrated baked goods as the real ones! DIY Chalkboard Salon Menu Design. 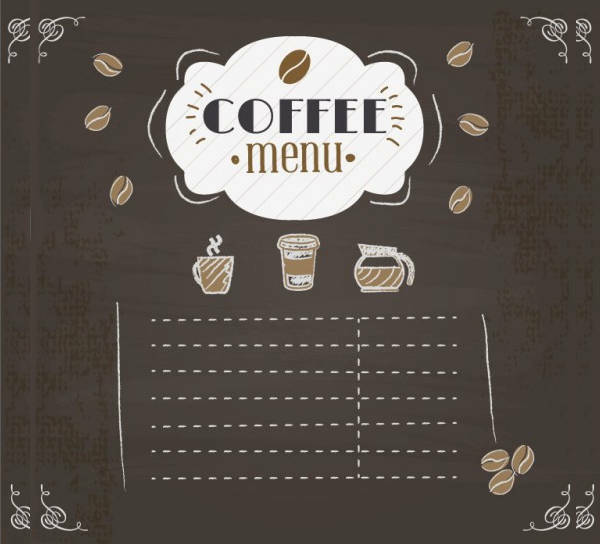 If you thought that these downloadable chalkboard menu designs are limited strictly to food items, then you’re mistaken. Your regulars will thank you for the fresher, more elegant look of your listing . . . as their lovely locks will look after your superb keratin treatment! 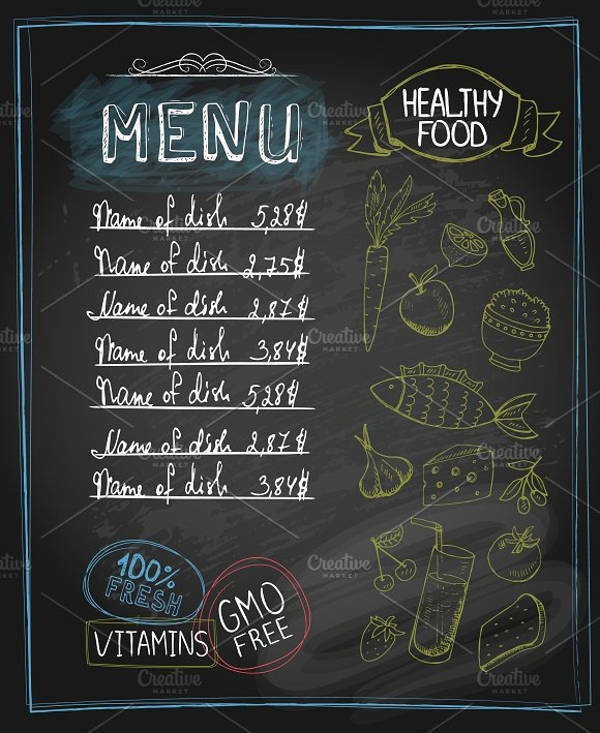 Healthy Food Chalkboard Menu Design. 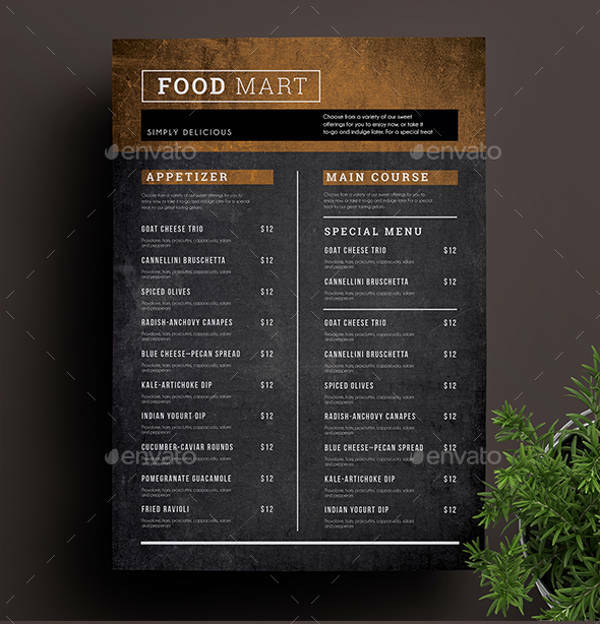 For you health nuts and health-nut caterers out there, your customers will surely be delighted with the illustrations in this chalkboard Menu Design and the “GMO Free” stamp in the corner! 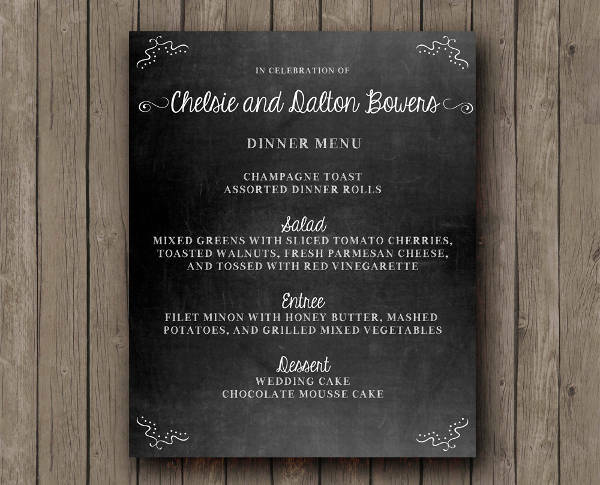 Printable Wedding Chalkboard Menu. And wouldn’t you know it? It even goes well with wedding food! 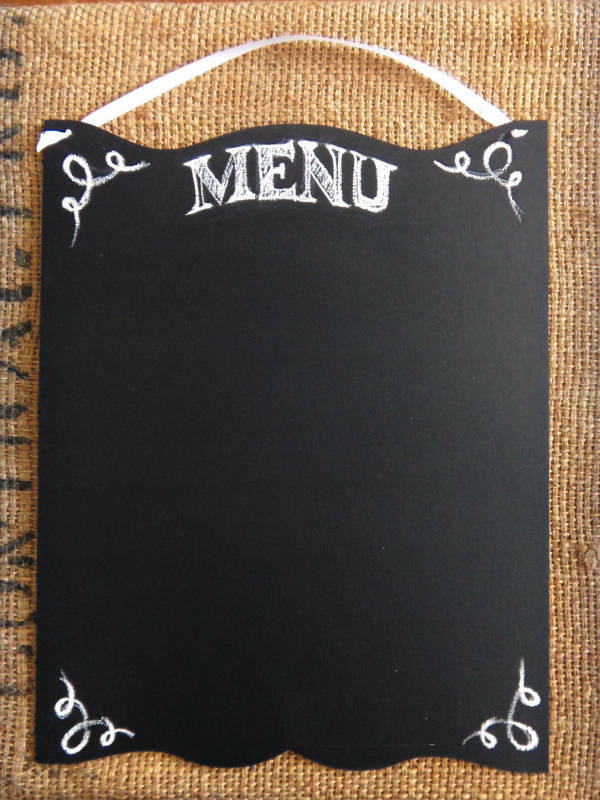 This chalkboard menu design is perfect for those who are going for a more rustic, bohemian theme. 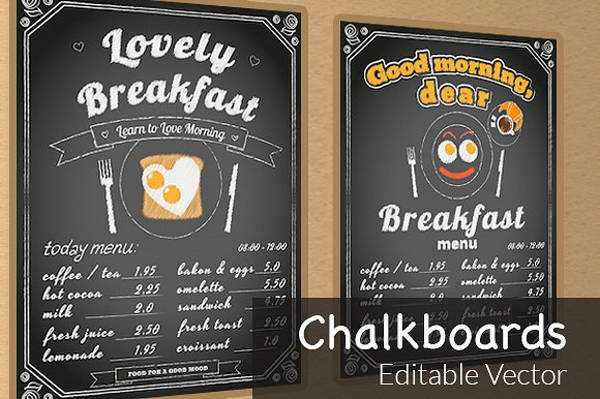 So with this great deal and incredible variety of chalkboard menu designs, what are you waiting for? Download now!